We take great pride in our customers finished projects, almost as much as they do! Mariya knit the Freize Shawl in Malabrigo Worsted and Blue Sky Extra. Don't you just love those colors?!! 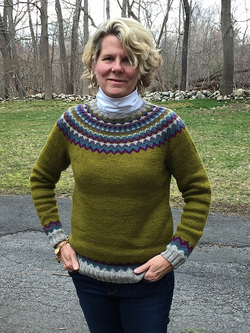 Jane knit this beautiful sweater, The St. Brendan sweater by the Fibre Company in record time! Spectacular job! Susan finished her pareo so quickly! It's gorgeous! The perfect accessory for the Spring/Summer/Fall! 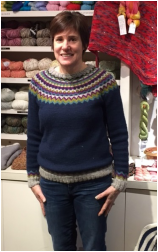 Another graduate of Julie's Class, Susan perfected her colorwork with The Fibre Company's Cumbria. 1 skein of Artyarns 5ply cashmere, a Westport Yarns pattern and a size 7 needle - easy peasy luxury to wrap around your neck. A Koigu kit, a size 3 needle, and lots of circular knitting makes Allison a happy camper. 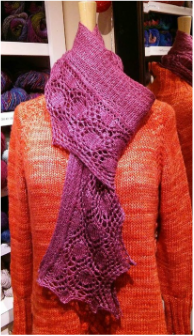 Knit with one skein of Anzula For Better or Worsted held together with Schulana's Kid Pailettes makes this Age of Brass and Steam sparkly! 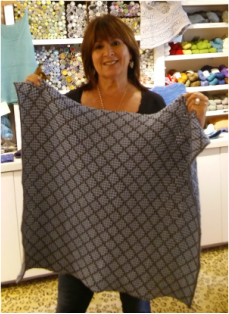 Michelle knit her Mosaic Blanket with Plymouth Yarn's Worsted Merino Superwash. Jane is another graduate of the Clawthorpe class. The Fibre Company's Cumbria has a range of the perfect colors for this sweater! Helen is a graduate of Julie's Clawthorpe sweater class. Knit in The Fibre Company's Cumbria, this sweater is gorgeous! 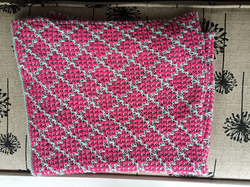 Lydia knit this great mosiac baby blanket in Plymouth Yarn Worsted Merino Superwash. Love it! 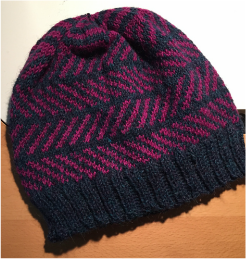 Nina knit the Fishbones Hat with Berocco's Ultra Alpaca Light. Warm and Cozy! 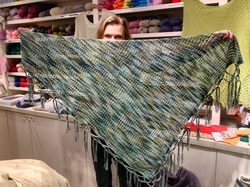 Danni knit the Amy Shawl in Anzula's Dreamy and the Lemongrass Sweater in Malabrigo Worsted. Both are yummy! 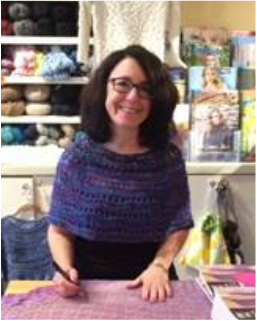 Julie is modeling her Clawthorpe Sweater knit in The Fibre Company's Cumbria for the class she taught. 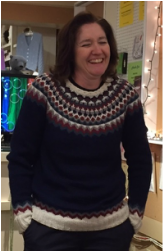 You can see more finished sweaters above by her students! Good job Julie! Beth knit this beautiful Cirrus poncho in Shibui Pebble and Shibui Silk Cloud. Can it come home with me please?! 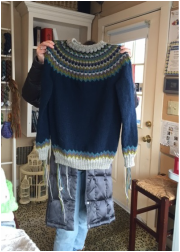 Pam designed and knit her Manteau Capelet in Artyarns Beaded Silk & Sequins and Artyarns Ensemble Light. 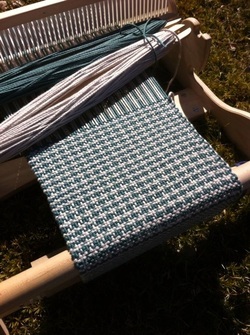 Laura is weaving Rowan's Softknit Cotton in two contrasting colors. Stunning! !